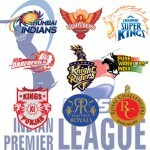 IPL 2013, 6th edition of IPL, is all set to start with big celebration in Kolkata but absence of some of the big stars is casting a shadow in it’s popularity. The list of absentees is not too long yet we will certainly miss these big players, well at lest I’ll do. Pune Warriors India is the worst affected IPL franchise with it’s 2 star players including captain Michael Clarke will be absent this season. 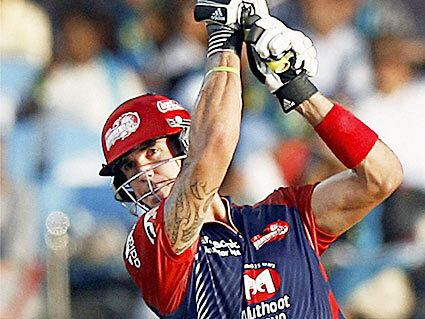 Delhi Daredevil will miss KP. English rebel and big hitter Kevin Pietersen might not have been at his pinnacle of the career yet his T20 skills can’t be underestimated. He is one of the most destructive hitters in T20. His improvised shots can raise orthodox Cricket lovers eyebrows but spectators love it. Don’t forget this is the guy who invented switch hit and he is always eager to experiment with new techniques. Kevin is down with knee injury and he is ruled out of IPL 2013. The trouble young who lives up to Australian spirit of Beer and aggressiveness is certainly top 5 most destructive hitters in the T20. He might not be the fittest cricket player in the current bunch of T20 militia yet his presence and hard hitting skills terrorize any bowler. Unfortunately as we are all aware Jesse has met with a very unfortunate accident and he is ruled out of IPL 2013. He is still in hospital after bing beaten up by thugs in a pub in NZ. It has been a terrible year for Clarke. Visiting Australian side has been humiliated on Indian soil and his back problem hit him again. Michael had back problem since long time and it continues to haunt him. Clarke is ruled out of IPL 2013. Aron Finch will replace him. Angelo Matthews will captain PWI team. Test match debutant and one test match wonder boy Shikhar Dhawan is a regular player in T20 and we all know his capabilities. 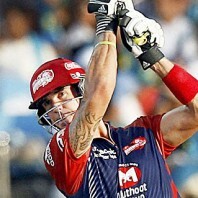 Shikhar was 3rd highest run scorer in IPL 2012. He scored 569 runs in 15 matches with a strike rate of 129.61. He injured his finger during the test match and he is yet to recover. He is unlikely to play in IPL 2013.